On Monday, I said that the mystery fossil this week takes us back to the beginning and ties us to the present. I also said the answer was written in stone. Could you figure it out? Katharyn D. was the first to get it this week. The picture shows a graptolite. This particular one is likely a species of Cyrtograptus. 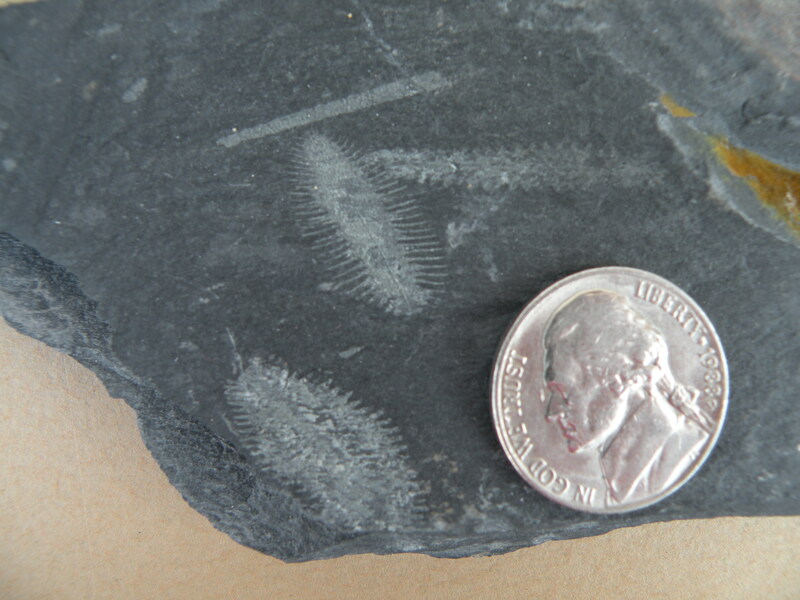 Most specimens of this type of graptolite are from Europe, they do appear in Canada and parts of the United States, including Oklahoma, according to Fossilworks.org. Did it appear in Arkansas? We don’t know. Other graptolites did, but then the book of Arkansas graptolites has not yet been written, so the true diversity of graptolites within the state is not really known. So what are graptolites? The name means “written in stone” because they reminded people of hierogylphs or petrographs, writing or pictures scratched into stone. The first graptolites I remember seeing in the Quachita Mountains reminded me of nothing more than pencil scratches. Others, better preserved, look like saw blades or little tubes. For a long time, no one really knew what to make of them, regarding them as cnidarians, or plants, or even inorganic mineral formations. But with the advent of electron microscopy, most workers have come to the conclusion they are actually members of the group Hemichordata. This conclusion puts them at the very beginnings of all vertebrates. Vertebrates evolved from a group called urochordates, the first animals with a stiffened rod for support, an ancestral spine. Today, urochordates are tiny animals called tunicates, or sea squirts. But even before these animals evolved, there were the hemichordates, meaning “half-chordate.” They share branchial opening, or “gill slits,” a collar-like pharynx, and the beginnings of a notochord, called a stomochord. 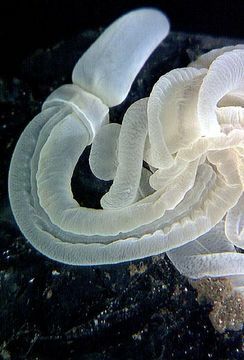 The main hemichordates alive today are called enteropneusts, or acron worms. If you go any earlier than this, you find yourself in echinoderms. Graptolites appeared in the Cambrian Period over 500 million years ago and were thought to have died out in the Mississipian Period (Early Carboniferous), roughly 320 million years ago. They are useful as index fossils, meaning they can be used to date rocks with a fair degree of precision, because they have a worldwide distribution and are common in the rocks, as well as evolving quickly so they have many species, many of which did not last long. 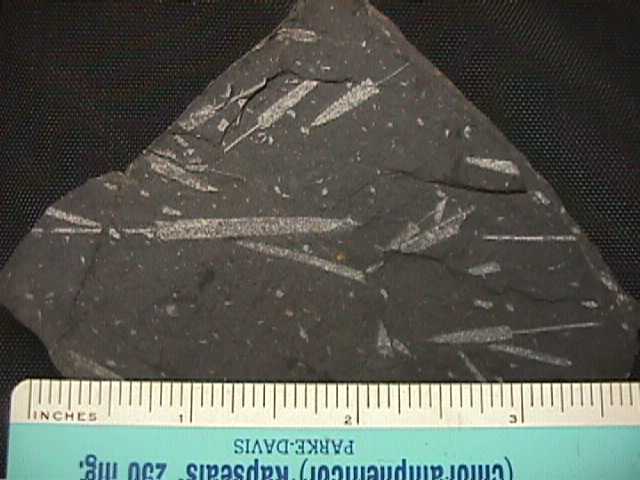 Graptolites started off growing on the ocean floor, but later ones floated freely in the ocean. When they died, they would sink to the bottom, becoming entombed in the deep ocean sediments. So today, graptolite fossils are usually found in shale formed from the deep ocean mud. Sometimes they can be found in marine limestone or chert, but they are less commonly found there. As a result, the best place to find them is in the shales of the Ouachita Mountains in west-central Arkansas. The best place to find them is in the Womble Shale, a black shale with thin limestone layers and a few small silty sandstone and chert layers. The Womble Formation was named after the town of Womble, which is now Norman, in Montgomery County, AR, so that makes that area a fine place to look. You can also find conodont fossils commonly in those rocks, which are tiny, tony, early chordates. Conodonts were the first animals in the vertebrate lineage with mineralized tissue. They had teeth, but no bone. Other places you can find them are the Arkansas Novaculite in the Ouachitas, although you will have better luck in the older rocks, such as the Mazarn or Collier Shales. You can also find them in any of the Ordovician or Silurian aged Ozark limestones in northern Arkansas, but they will be harder to find as those rocks were formed in shallower water, with many more fossils of many other animals which are far more common, whereas the graptolites will be much rarer than in the Ouachitas. 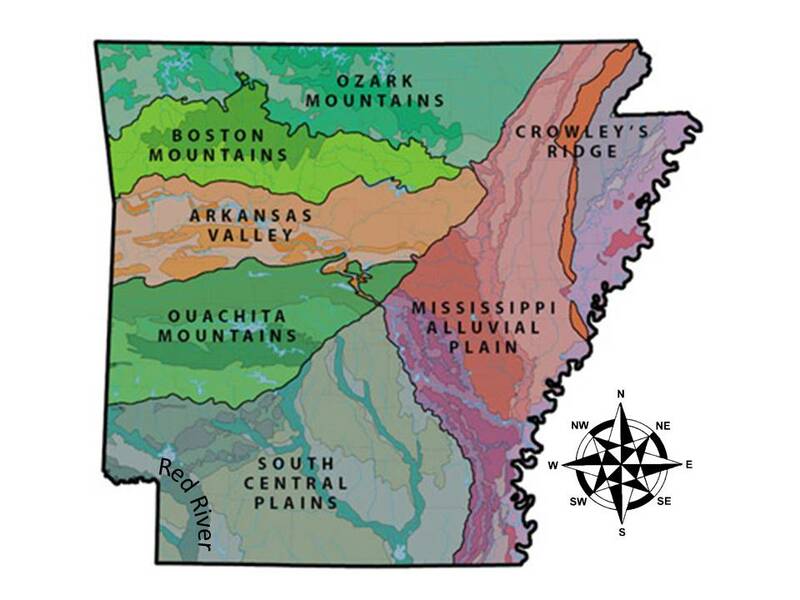 For a full listing and description of the appropriate rocks and maps to their location, try the Arkansas Geological Survery website here. I mentioned that graptolites were thought to have died out in the Mississippian Period. That is because no fossils are found after this date. 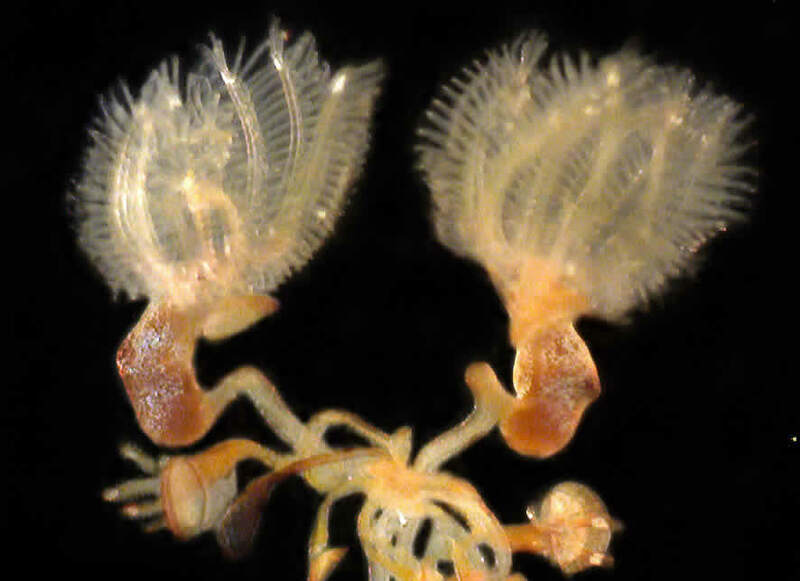 However, it is thought by most workers that graptolites may still be living today. We just call them pterobranchs, another type of hemichordate and are acorn worm-like animals with plant-like fronds used to filter out plankton from the water. By paleoaerie in Fossils of Arkansas, Mystery Monday, Paleontology on March 28, 2014 .